Below you'll find Sketch 356. Create cards, scrapbook layouts, home decor, treat containers, mixed media, etc. using this week's sketch and be sure to link your project below for a chance at the weekly My Favorite Things Gift Voucher. 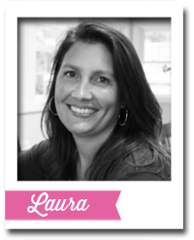 Laura has shared some amazing inspiration this month. She is back today with one last October Sketch Challenge. Thanks so much for joining us, Laura! 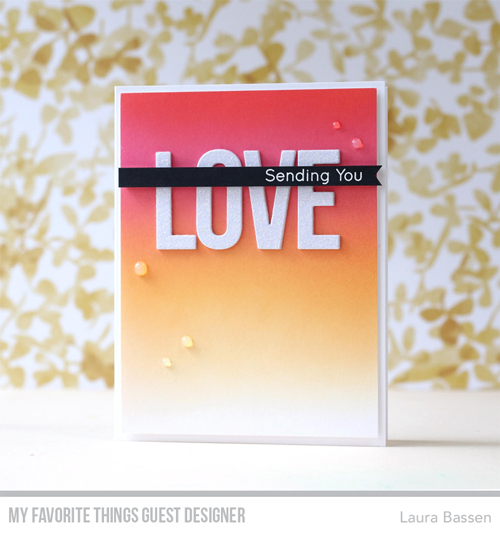 Laura created a gorgeous ombre inked background panel and added her sentiment directly on top, following the design of the October sketch. The large Love word fits perfectly within her portrait style layout with the secondary sentiment banner completing her greeting. Francine created a square card and brought the elements of the sketch towards the bottom. Her tilted banner sentiment strip placed over the bold greeting adds a playful look to her design and really complements her wonderfully colored image. Joy stayed true to the sketch and created a large sentiment as the design element. 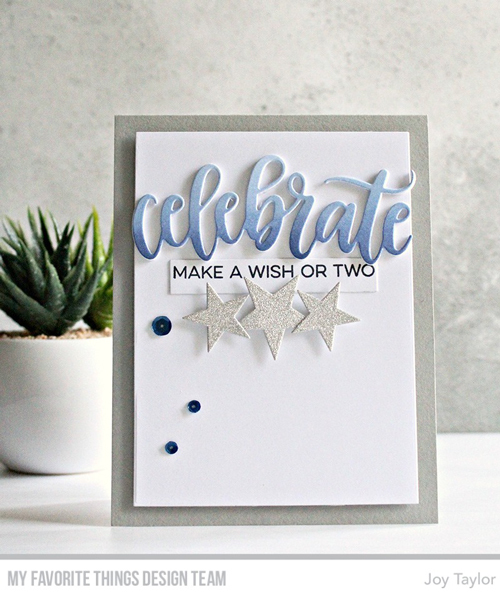 The silver glitter stars dress up the greeting and add a nice finishing touch to the overall card design. Congratulations, Vanessa Menhorn! 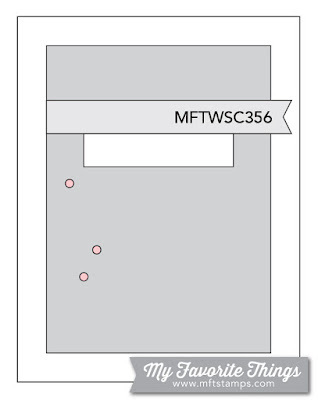 You are the randomly selected winner of last week’s sketch challenge. Now, it's your turn. 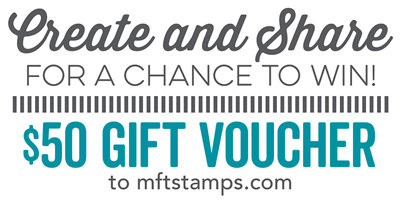 You have until Tuesday, October 31st, at noon EDT to add your link and be eligible for the prize of $50 in MFT Cash to be spent in the MFT boutique. Winners are chosen at random, so everyone has a chance! Oh, thank you so much, can't wait to spend my gift card!!! Love the new sketch and what everybody did with it! Love the new sketch and I always enjoy seeing how everyone creates with it! Thanks to Laura Bassen for being such a wonderful Guest over the past few weeks!